Sarah Nader- snader@shawmedia.com Jacobs' Ben Murray shoots during the first quarter of Wednesday's game against McHenry in Algonquin January 8, 2014. 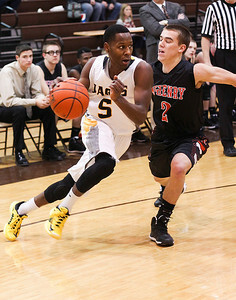 Jacobs defeated McHenry, 50-53. Sarah Nader- snader@shawmedia.com Jacobs' Robert Grant grabs a rebound during the second quarter of Wednesday's game against McHenry in Algonquin January 8, 2014. Jacobs defeated McHenry, 50-53. Sarah Nader- snader@shawmedia.com Jacobs' Chrishawn Orange (left) runs past McHenry's Cody Freund as he makes his way towards the basket during the first quarter of Wednesday's game in Algonquin January 8, 2014. 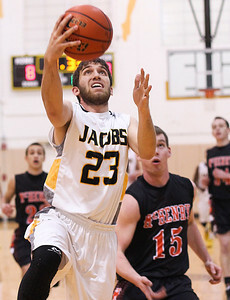 Jacobs defeated McHenry, 50-53. Sarah Nader- snader@shawmedia.com McHenry's Nick Bellich (left) pass the ball over Jacobs' Cory Boeckh during the third quarter of Wednesday's game in Algonquin January 8, 2014. 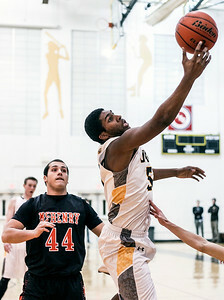 Jacobs defeated McHenry, 50-53. Sarah Nader- snader@shawmedia.com McHenry's Cody Freund (left) and Jacobs' Kenton Mack dive for a lose ball during the second quarter of Wednesday's game in Algonquin January 8, 2014. 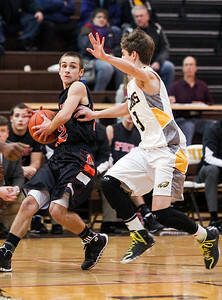 Jacobs defeated McHenry, 50-53. Sarah Nader- snader@shawmedia.com McHenry's Nick Higgin (left) shoots during the third quarter of Wednesday's game against Jacobs in Algonquin January 8, 2014. Jacobs defeated McHenry, 50-53. Jacobs' Chrishawn Orange (left) runs past McHenry's Cody Freund as he makes his way towards the basket during the first quarter of Wednesday's game in Algonquin January 8, 2014. 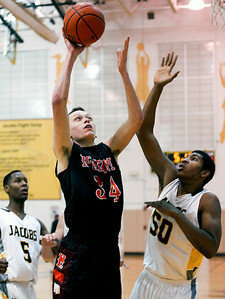 Jacobs defeated McHenry, 50-53.